Bring the rustic outdoors into the comfort of your own home with this Rustic Hickory End Table with natural hickory saplings as the framework for this rustic piece of living room furniture. 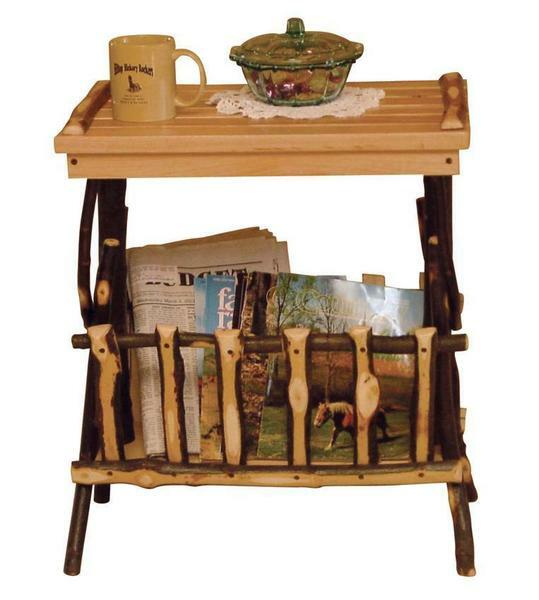 The multipurpose design offers both a convenient end table and a magazine rack in one unique piece of furniture. Order your today to experience the rustic feel for yourself.